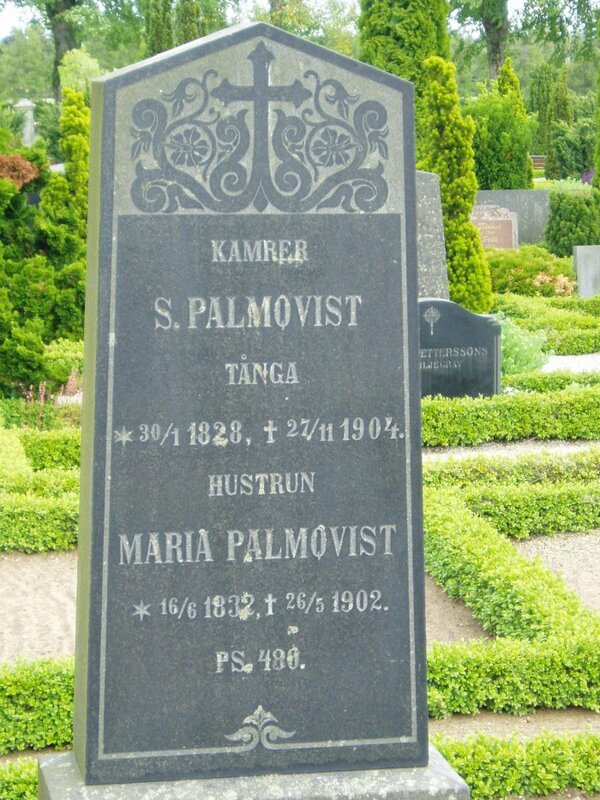 My great-great-grandparents' grave in Valinge, Sweden. 'Kamrer' means accountant and 'hustrun' means housewife. The 'S.' stands for Sven. He was the town banker.